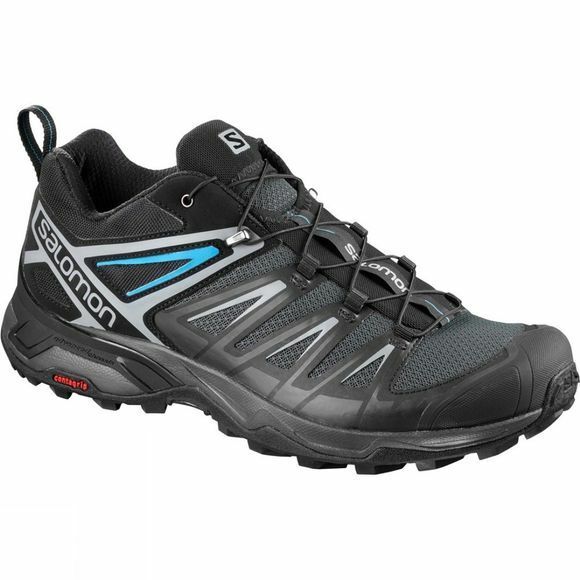 The Mens X Ultra 3 Shoe from Salomon has evolved into an even more effective hiking shoe. Thanks to Descent Control technology, it efficiently tackles technical hikes and really shines during tough descents. Wear this breathable pair in warm weather and dirt conditions, and head downhill with a spring in your step.